ephora, Anazon.com and over a hundred others. *Different Types of Gift Cards have different cash back. 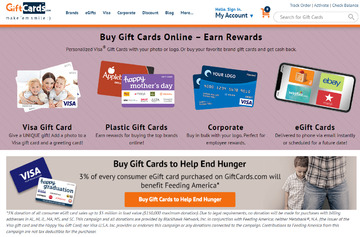 Click a Coupon or click Start Shopping to earn Up to 1.5% Cash Back at GiftCards.com.